Why do Amazon searches show you sponsored ads? Do a search for laptops on Amazon, and the first result might be ones made by Microsoft or HP, despite Asus being Amazon's best seller. Try for printers, and while HP and Brother top the Amazon best seller chart, the first three (sponsored) results are for a Bluedriver scanner and replacement batteries for printers made by Zebra. Searching TVs take you directly to LG and Sansui, a company probably most American consumers have never heard of, despite Amazon's best-seller category being dominated by Chinese brand TCL. These are sponsored posts, paid by the manufacturer to get better placement on the top e-commerce site, and if you think you're seeing a lot more of these this year, your eyes are not playing tricks on you. There are more ads than ever on top of the products you are searching for, which are ranked based on sales performance and other factors. According to research firm eMarketer, Amazon will bring in $4.6 billion worth of revenue for sponsored ads this year, up from $1.8 billion in 2017. The company is on track to grow these ads to $10.9 billion by 2020. 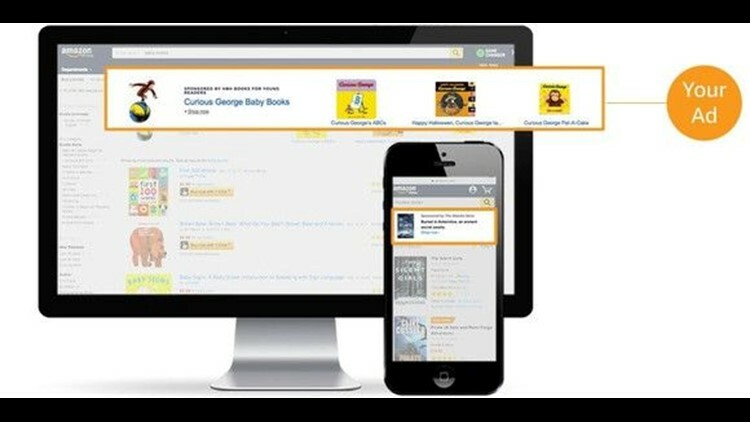 As Amazon enters its busiest season, the holidays, shoppers will be confronted in their searches by products, not the best reviewed or best selling options, but the ones that manufacturers paid for to be the first thing consumers see at the top of the list. 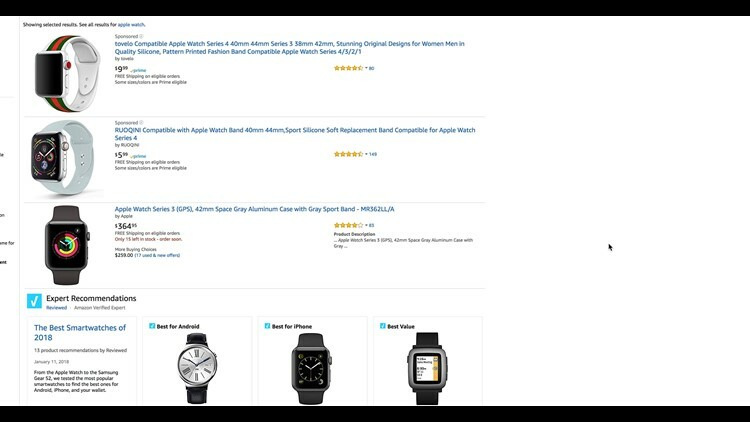 Amazon is "littered with Sponsored Ads now," bemoaned Faisel Masud on Twitter recently. He's the chief operating officer of Wing, a Google company looking to bring autonomous delivery drone service to the public. Writing as a consumer, his post was accompanied with a photo of a 3-star ranked (out of 5 stars) Nerf toy that showed up at the top of his search results. "Customers need a filter to remove poorly rated items from search results. There has to be a more customer-centric approach here to fix this." Amazon has many ways to filter results, showing you just products that quality for Prime shipping (as part of the $119 yearly expedited shipping and entertainment membership) only ones that have 5 star reviews and more. But cutting out the ads isn't one of your choices. The problem for consumers is that manufacturers love the access to Amazon's front page. And as the e-commerce giant, projected to have a 49 percent market share of online transactions by the end of the year, gets bigger, sponsored posts will likely only get more prevalent. "Amazon is benefiting from the fact that, on Google and Facebook, consumers may be researching a product, but on Amazon they have the benefit of being at the purchase decision," says Monica Peart, an analyst with eMarketer. Jason Goldberg, senior vice-president of commerce for digital marketing firm SapientRazorfish, says manufacturers have little choice – they have to run sponsored ads on Amazon, due to the size and breadth of the company's customer base. "No one will find you if you don't pay," he says. For consumers, it's buyer beware, he adds. Know that the top results are ads, just like on Google and often all over Facebook's News Feed, and try to tune them out. "You won't find the most popular products or the best reviewed ones there." However, once you've identified the product you are interested in, when you click to get more information about it, the ads won't follow you there, he says. Matt Mickiewicz, the co-founder of Hired.com, vented on Twitter that shopping had become a tougher experience for him on Amazon. "Between all the sponsored ads, and identical products being sold under 10 different brand names, it’s become a frustrating experience." Don’t companies pay for a specific shelf space in a supermarket as to attract consumers eyes? I don’t see a difference here. It’s getting harder & harder to shop on Amazon. Between all the sponsored ads, and identical products being sold under 10 different brand names, it’s become a frustrating experience. For all the frustration, it's not like consumers can really shop elsewhere online to rid themselves of sponsored posts.